If you’re looking for the perfect gift for that special someone, indulge in some retail therapy for yourself, or simply window shopping, New York is the ideal place to get your fix. In particular, the downtown area of White Plains, NY, is the leading retail hub in Westchester County and offers a variety of shopping districts and malls that are filled with famous New York-based specialty stores. 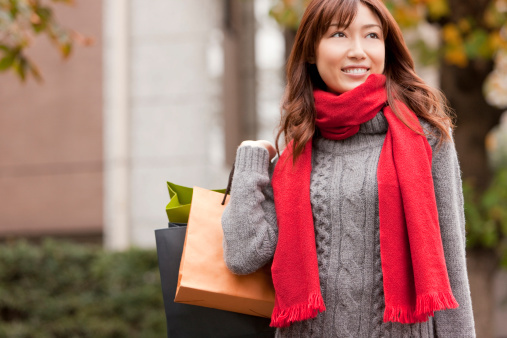 From high-end brands to affordable, quality merchandise, you’ll find it all when you spend a day shopping in White Plains. Make sure you clear some space in the car for all of your bags! 1. The Westchester: Just minutes from Greenwich, the Westchester Mall offers the impeccable upscale shopping experience you’d find on Madison Avenue in New York City. This 890,000-square-foot retail heaven has beautiful features, including marble floors and sculptures, that compliment it’s 150 fine stores. Guests will find all of their favorite designers like Nordstrom, Tiffany & Co., Louis Vuitton, David Yurman, Burberry, and more. 2. The Galleria at White Plains: Conveniently located on Main Street in White Plains, this indoor shopping mall is the perfect place to bring the whole family and features 130 prime retailers like Macy’s, Sears, H&M, Forever 21, American Eagle, and Victoria’s Secret. Hours are Monday through Saturday from 10 AM to 9:30 PM and Sundays from 11 AM to 7 PM. 3. Crossroads Shopping Center: Just west of downtown White Plains on Tarrytown Road, Crossroads offers renowned brands like HomeGoods, PetSmart, Pier 1 Imports, Five Below, and DSW amongst its tenants. Feel free to visit the center’s renowned neighboring retailers like Bed Bath & Beyond, The Sports Authority, and TJ Maxx. 4. White Plains City Center: The City Center is a large, multi-use entertainment complex in downtown White Plains that truly has something for everyone. Whether you’re looking for clothing, groceries, pet supplies, or somewhere to grab dinner, you’ll find it all in this 600,000 square foot facility. You can even catch a movie at Cinema De Lux or a show at their Performing Arts Center. 5. Pedigree Ski Shop: If you’re looking for the perfect getup for your next winter getaway, be sure to stop by Pedigree in White Plains. This store offers a wide range of ski and snowboard clothing and has top-of-the-line products from leading industry brands. Their friendly and knowledgeable staff will help you and your family get geared up and ready to take on the snow! After a day of fantastic White Plains shopping, take a short drive back to the Stanton House Inn and rest your feet in one of our stunning rooms and suites. Our Greenwich bed and breakfast provides unparallelled comfort and luxurious amenities that will help you relax and unwind after a day of spending. Plus, our close proximity to downtown Greenwich offers guests the chance to explore tons of local shops just steps from our inn. We can’t wait to see all of your fabulous finds! For more information on the best metro north shopping, download our free Greenwich vacation guide.